IF it makes you feel better - I SCREWED up in the 9th,,,no 10in the damn race - I keyed Little Mikes odds.... OUCHIE! U WOULDA GOTTEN CREDIT IF U HAD NAME WITH ENTRY! THUS THE ADVANTAGE TO INCLUDE AT LEAST MAIN PICK'S NAME! And Things Will Return To "Normal"
IT'S ........... IT'S ..............IT'S .... DUSTY! AND THE ANSWER IS...... A RESOUNDING YES! BEWILDERED CIGARSHOP WONDERING WHAT THE HECK JUST HAPPENED? IT'S.... DUSTY ALL ALONE -- 1st AT THE WIRE BY DAYLIGHT! CRIMINAL TYPE ===== $47.20 ---BACK TO THE DOG-HOUSE!!! Last edited by RUFFIAN on Mon Sep 30, 2013 1:08 am, edited 14 times in total. I must stop her on the Three-Peat. Thanks Ruffeerrrrrooooo for your efforts and well Tiger Dancer I'm ready to put you over my knee and spank you, but I'm afraid you'd enjoy it too much. ALREADY ASSEMBLED IN CIGARSHOP'S CLOSET!!! MUCH LESS OVER YOUR KNEE? WHOOOOO HOOOOOO! YES!!!! Whew! Took me awhile to get in stride! But Bring it on Cigarshop - thought you had it! EXTRA KUDOS TO CIGARSHOP AND KD..... GOOD RUN!! and well Tiger Dancer I'm ready to put you over my knee and spank you, but I'm afraid you'd enjoy it too much." CIGAR..... A LITTLE TOO MUCH TIME IN VEGAS??? 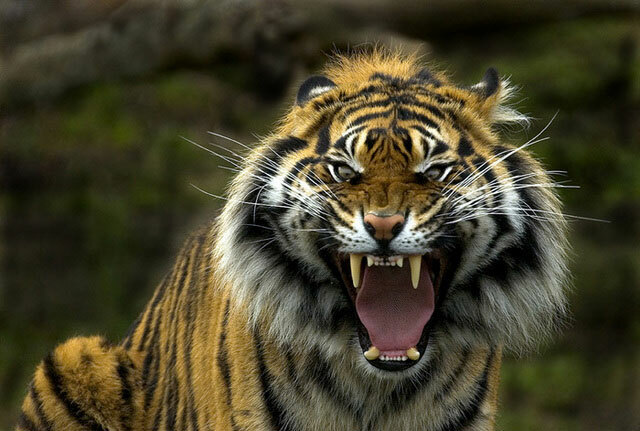 THIS TIGER IS WAY TOO MUCH FOR YOU TO HANDLE!!! And I STILL can't post pics...even following the excellent instruction given to me by Tiger Dancer!